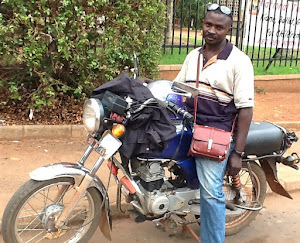 Bodaboda Baby: The new pizza delivery boda guy who doesn't come with a large supreme, and other boda-related news. 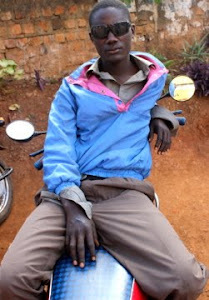 The new pizza delivery boda guy who doesn't come with a large supreme, and other boda-related news. 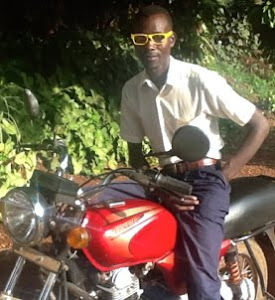 Boda rider Godfrey, who I met earlier today. 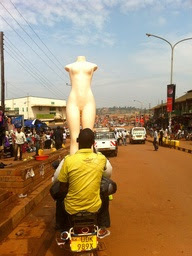 Bodaboda Baby has already uncovered the Toronto Fire Services on the streets of Kampala. 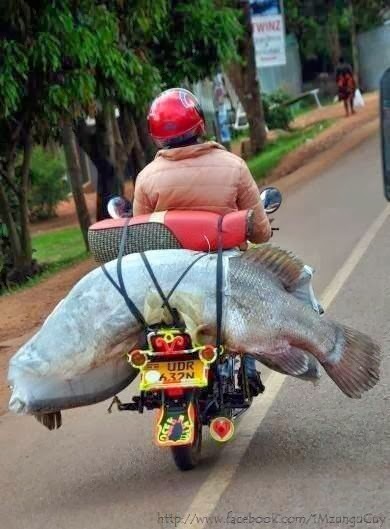 Now comes her discovery in Muyenga earlier today that there's a new Pizza Hut boda delivery driver around, albeit sans a large supreme. 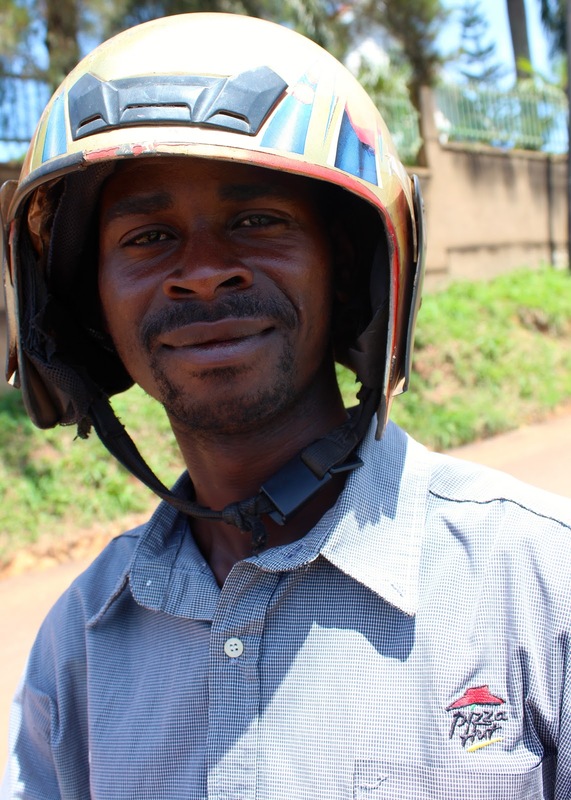 Godfrey, 25, a rider of five years who took me to Prunes cafe in Kololo this afternoon claimed he'd purchased the restaurant's shirt for just 10,000 Ugandan shillings ($3.91 USD) at local Owino market. Incidentally, there's no Pizza Hut in Uganda, yet, although the author of this blog is a big fan of Miki's pizza, although you'll have to go on a bit of a ride to get it. 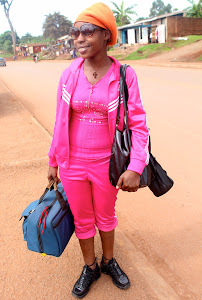 She also hears KFC could be on its way to KLA. What's next, a Sizzler uniform? (That's for all my antipodean followers. Read: Mum). 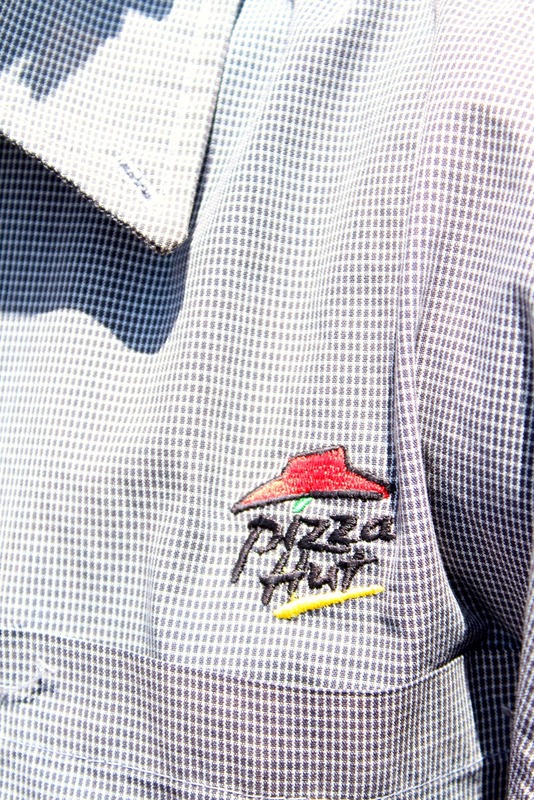 Pizza Hut now has a presence in Kampala. 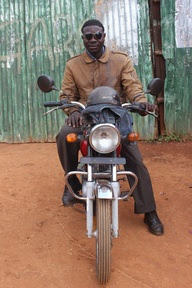 Godfrey's grey scarf was also hanging over his bike on display instead of his neck (a bit like some boda drivers who leave their helmets on show, rather than protecting their delicate heads). Godfrey informed me it had set him back 5,000k ($1.95). Ripper. 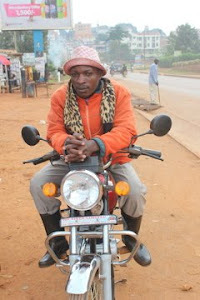 Whether it's hung over the neck or bike, a scarf is a must-have accessory for boda drivers these days. 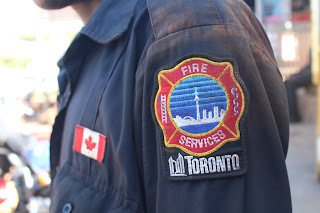 Regular readers will recall that a few weeks ago the author of this blog, a half-Canadian, discovered the Toronto Fire Services on the streets of Kampala. This shirt, found in Kansanga on March 16, was going for 8k. Of course the author of this blog got it down to five. The Pizza Hut discovery comes after Bodaboda Baby unearthed this Shamrock Festival shirt in Kansanga on the eve of St Patrick's Day. 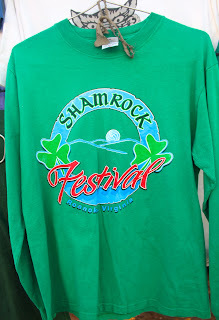 After writing to the tournament director, Mark Tanis, informed her that the event is actually a youth volleyball tournament in Roanoke, Virginia. "Very cool!" he wrote in an email. 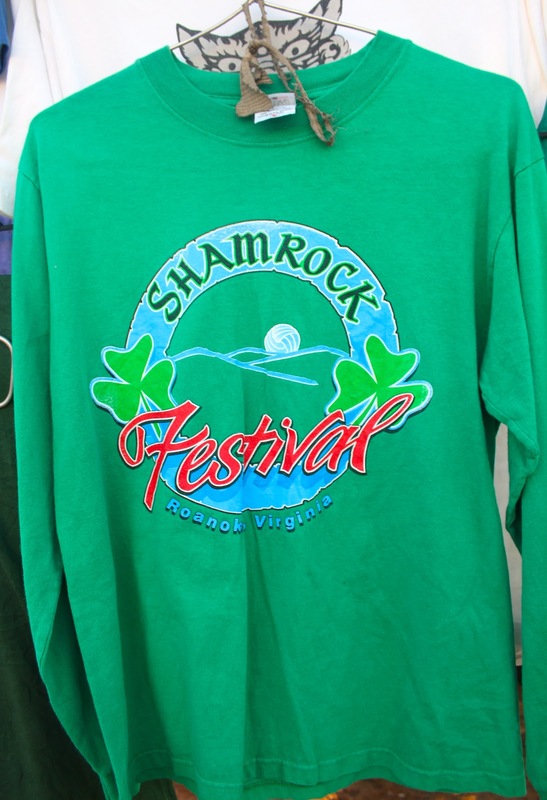 "We just finished our 14th annual tournament and we have different shirt designs each year. I think this particular shirt was from 2006 or 2007. 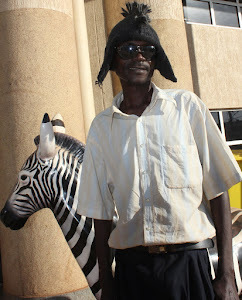 I have no idea how it ended up in Uganda but I'm glad someone is sporting it years later. Thanks for sharing!" 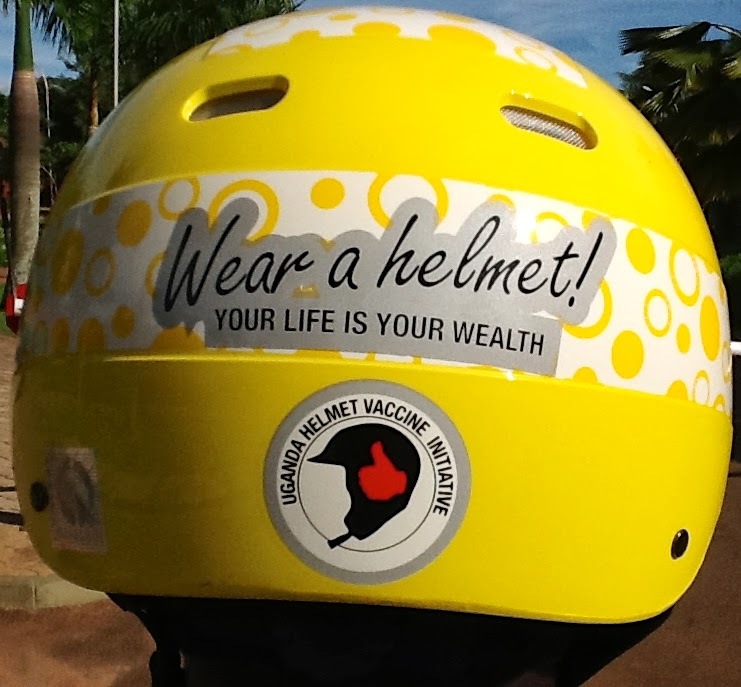 While secondhand charity clothes are being found in Uganda, bodas are becoming more known Down Under. 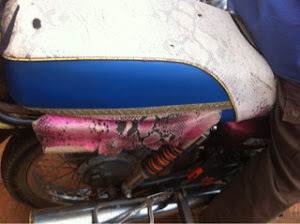 The author of this blog was having her hair cut the other week when she received a news snap via loyal reader and follower turned boda spy Donna Langdon alerting her that Top Gear Africa, featuring none other than the Source of the Nile, was on the tele in Oz at that very moment. Australian media, marketing and entertainment news site Mumbrella reported that the Africa episode of the series performed "reasonably well", averaging 927,000 viewers, overall eighth on its broadcast night, according to preliminary overnight metro ratings from OzTAM. Top Gear was also number one show in the key advertising demographics of 16-39, 18-49 and 25-54. 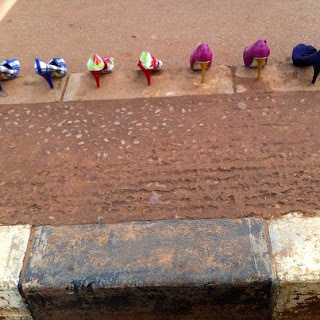 Way to go Pearl of Africa. 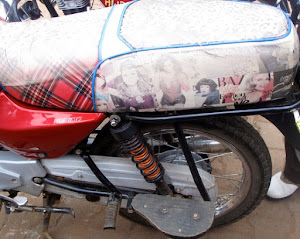 The author of this blog was at the hair salon having her locks trimmed when news reached her that Top Gear Uganda was on the tele in her homeland, Ooostraya. Photo by Teddy Tinka. 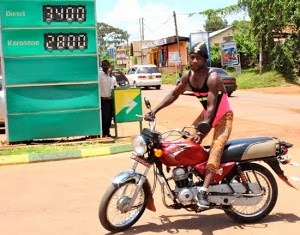 *More inclined to take a boda there (Kampala) than N."
"Bodaboda drivers looking just as fashion conscience in rural Ug as they do in Kampala, as far as I can tell from #TopGearAfrica." 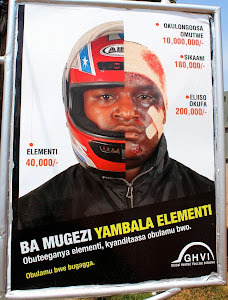 "He (Clarkson) said its a genuine law that u dnt have to wear a helmet if u just bn to the salon!!! Thought that was awesome!" 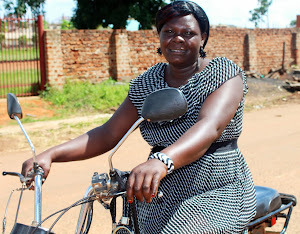 (NB: Bodaboda Baby is still seeking clarification on this from the Ugandan Inspector General of Police, and despite having her hair done while Top Gear Africa was airing on the other side of the world, her side of the world, put her helmet straight on after her blow dry). * According to a nib in last Saturday's New Vision newspaper headlined "Bodaboda man bathed in public", a cyclist was discovered having a bath by his colleagues at the Wandegeya stage on Makerere Hill Road. According to the report, his fellow riders felt it necessary to carry out the operation to rid their stage of dirty colleagues. 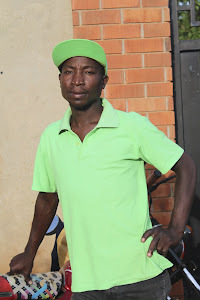 The smelly rider was undressed and washed three times as residents cheered, then given 10 strokes of the cane before the other drivers raised the money for a bar of soap and clothes for him. Ouch. At least he got a new wardrobe, free, after all that pain. 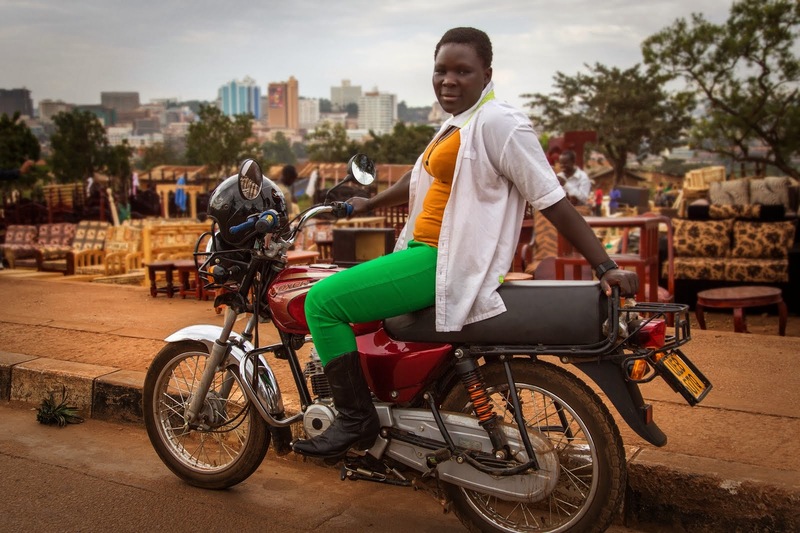 * Life in Uganda's already tough enough for women, including female boda passengers and drivers, if a proposed miniskirt ban becomes law. (NB: this Bill just doesn't affect miniskirts, it affects media freedom and many other rights, although the local and international media have focused heavily on the miniskirt factor. To understand what it really means you can read a great blog post by prominent Ugandan journalist and blogger Rosebell Kagumire here). The Sunday Vision April 6 splash. 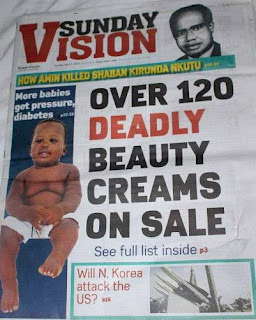 Meanwhile the Daily Monitor reported just one day after the beauty cream scoop that power cuts will resume in six months time (read: you will have buckley's chance of being able to carry out a good blow dry, ladies of Uganda). 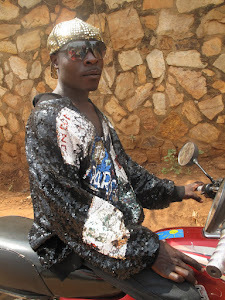 So between miniskirts being outlawed, lethal lotions and potions on sale and zero power, the author of this blog is wondering is there even any point in trying to look good ahead of her boda rides? * More news from Australia. 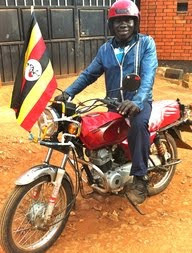 According to this story I spotted recently via www.news.com.au, Yamaha will make a $500 motorbike (that's 1.280,000 Ugandan shillings) in India. 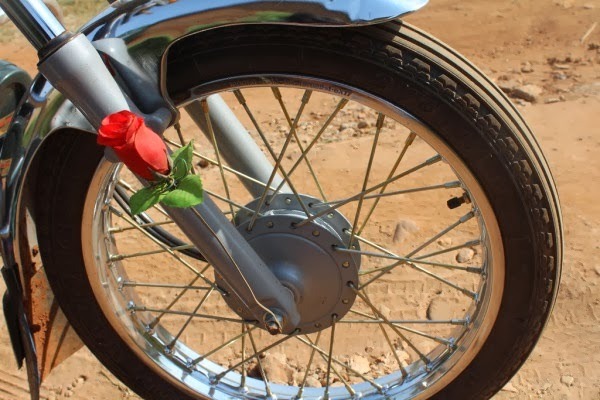 The "world's cheapest motorbike" will be sold first in India and then exported to Latin America, Africa and the "factory to the world" China, according to the yarn. Bodaboda Baby wonders if these bikes will show up on the streets of Kla, as she's told there are many Indian-made bikes here already. This could make Uganda even more boca-tastic. * Finally, one for any teachers in Uganda who've ever entertained giving up their day job. 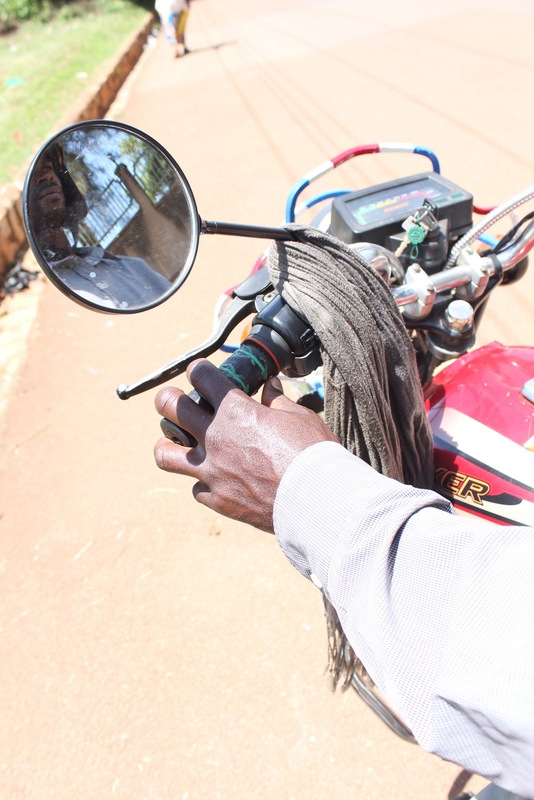 An interesting story from Gulu in the Daily Monitor on April 12 noted that one boda driver in the town is making Shs1.3 million ($507) a month. 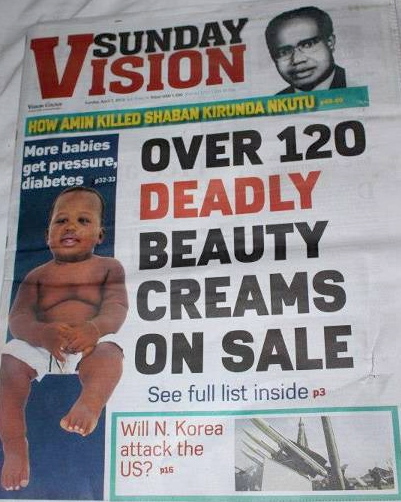 "A graduate teacher, after spending at least 15 years studying – through primary, secondary and university education - gets about Shs400,000 ($156)," the newspaper claimed. 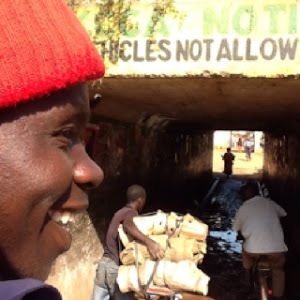 "So, it is not a surprise to find some teachers running boda boda businesses at night after finishing with the class." Who would have ever thought? Nice weekend, all of you. Safe travelling, readers. 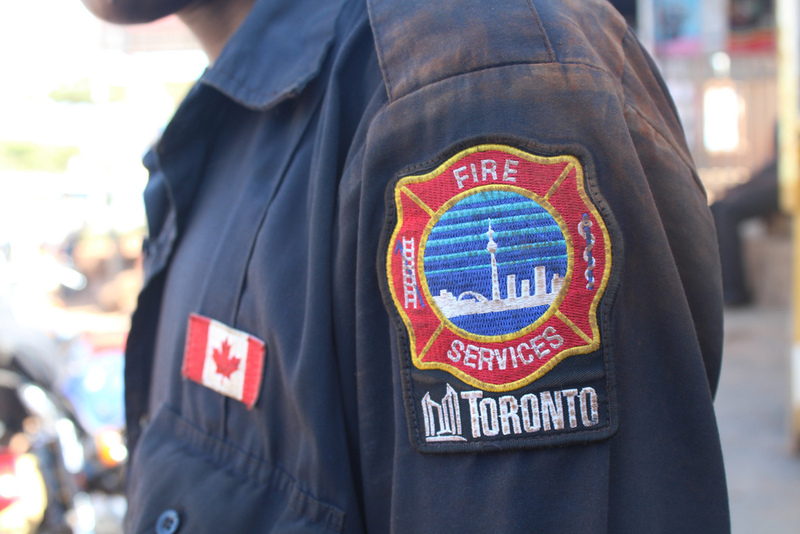 Remember to keep your eyes on the road (that's straight ahead, not on these on the side).